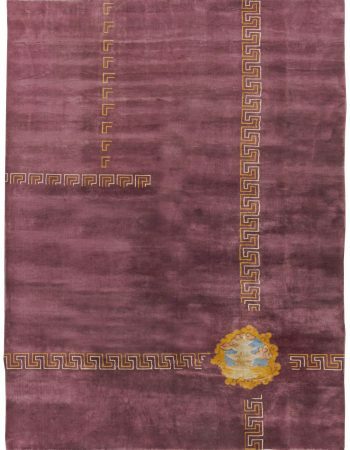 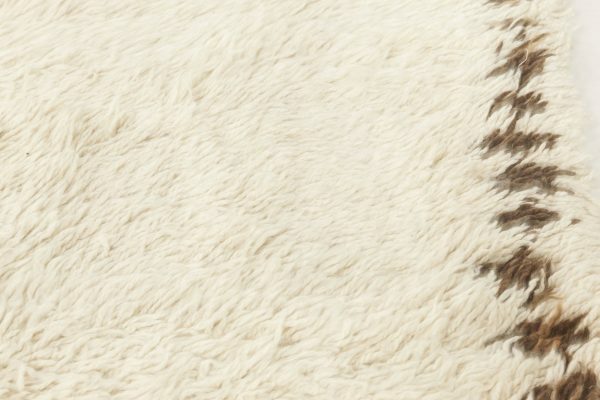 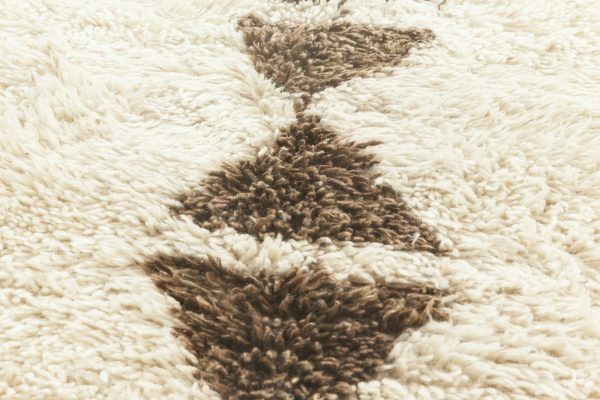 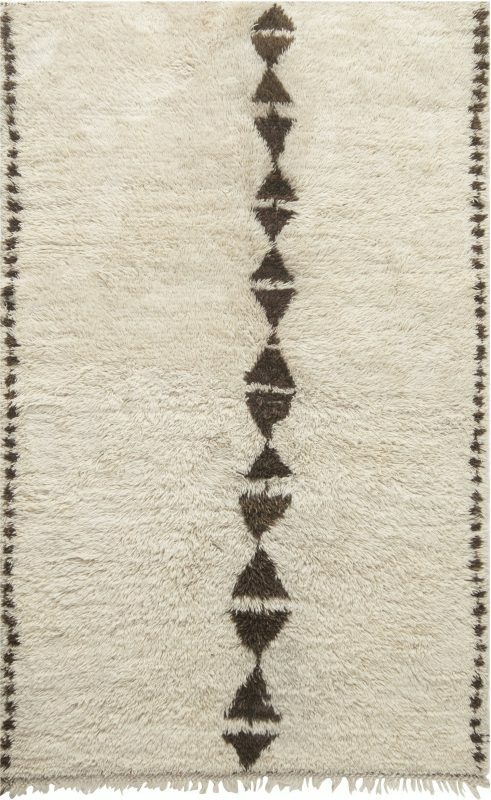 This vintage Moroccan rug beautifully combines modern minimalism with tribal aesthetics. 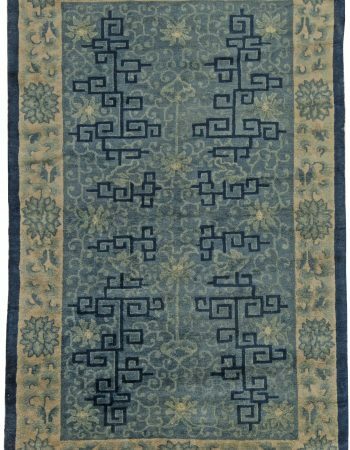 Its face is divided by a belt of classic oriental motifs known as Bukaǧı, the fetter, symbolizing union. It is a wish to tie family or lovers together which suggest the carpet could have been a wedding gift. 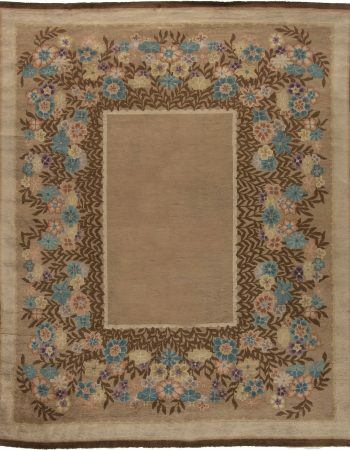 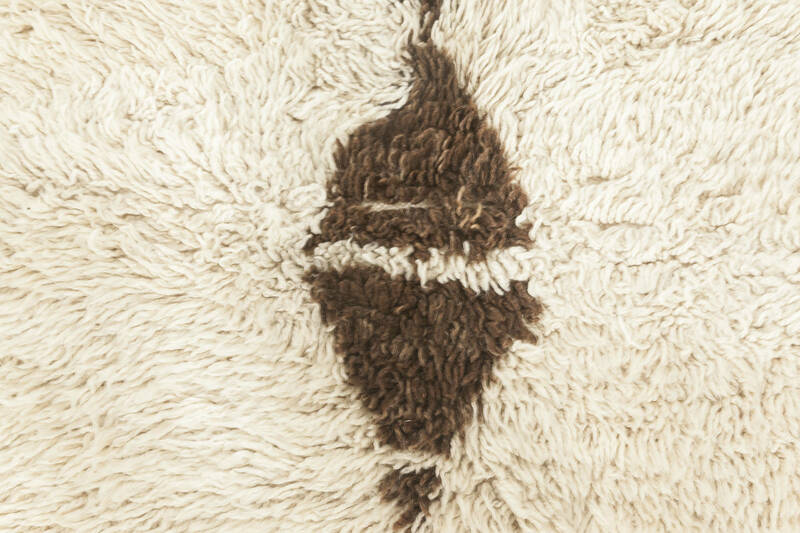 The composition of brown motifs against the off-white background is finished with a lovely fringe adding charm and lightness. 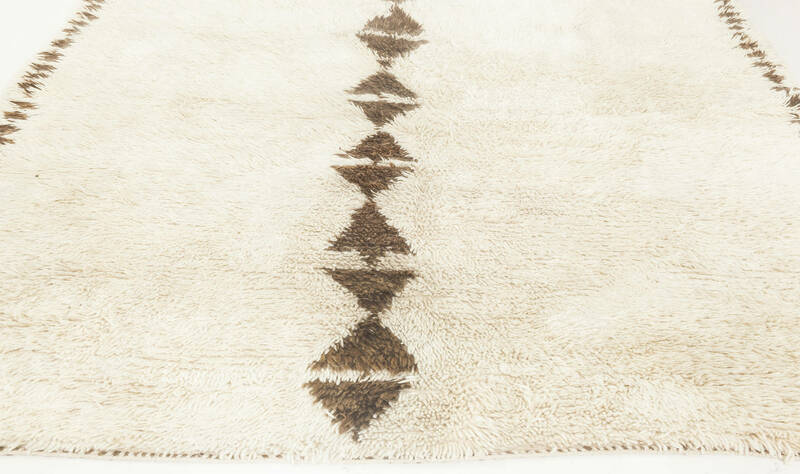 Such a versatile design will easily match any kind of contemporary interior arrangement. 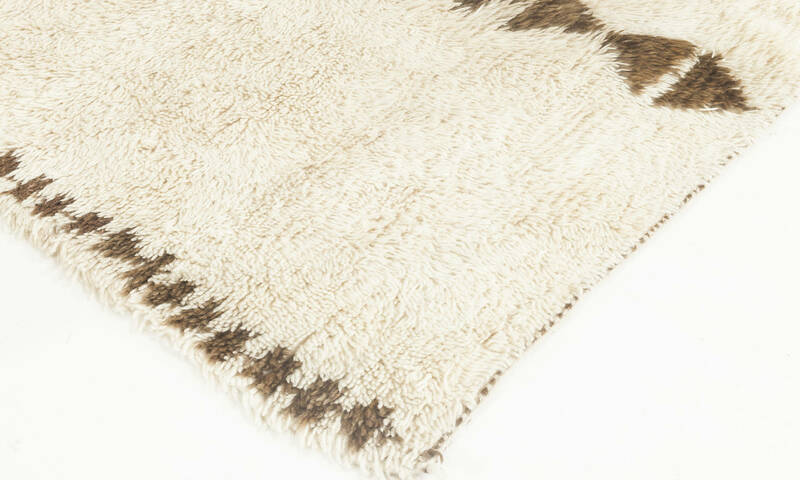 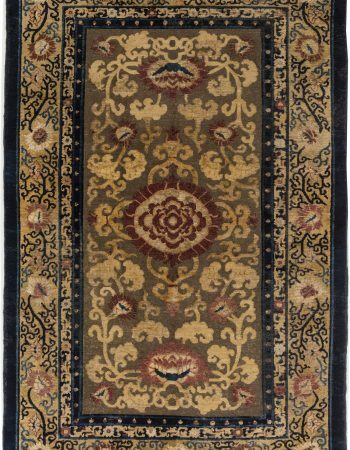 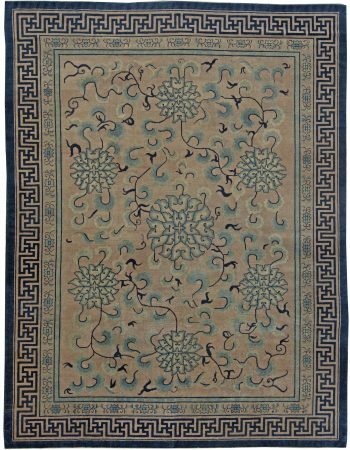 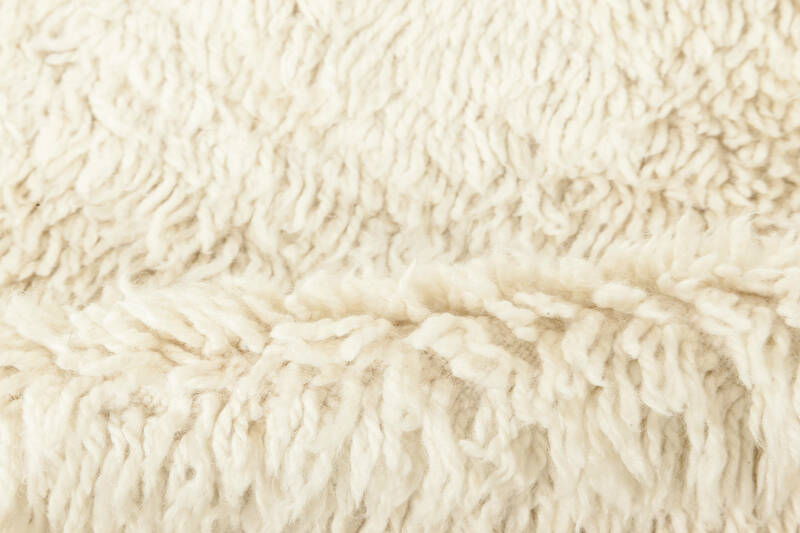 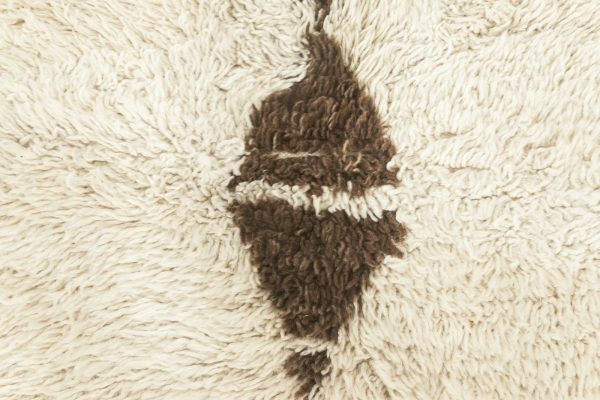 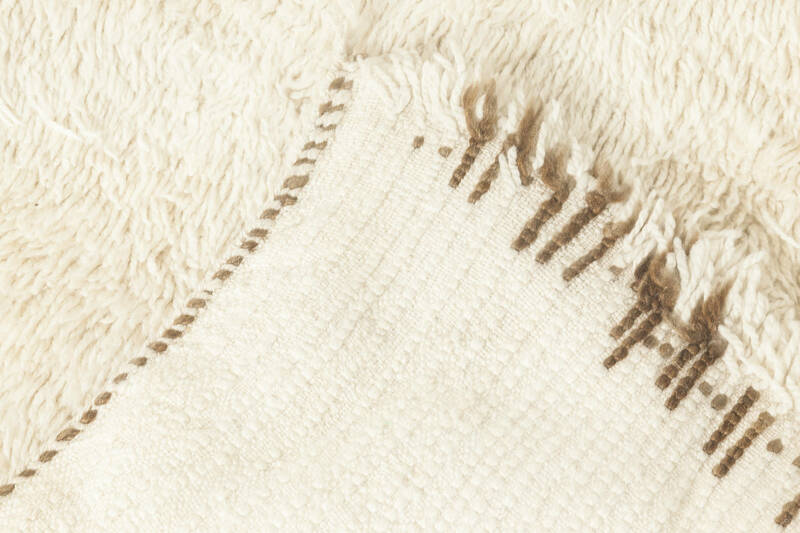 Carefully hand-knotted of the finest wool, this vintage Moroccan rug has survived until this day in excellent condition. 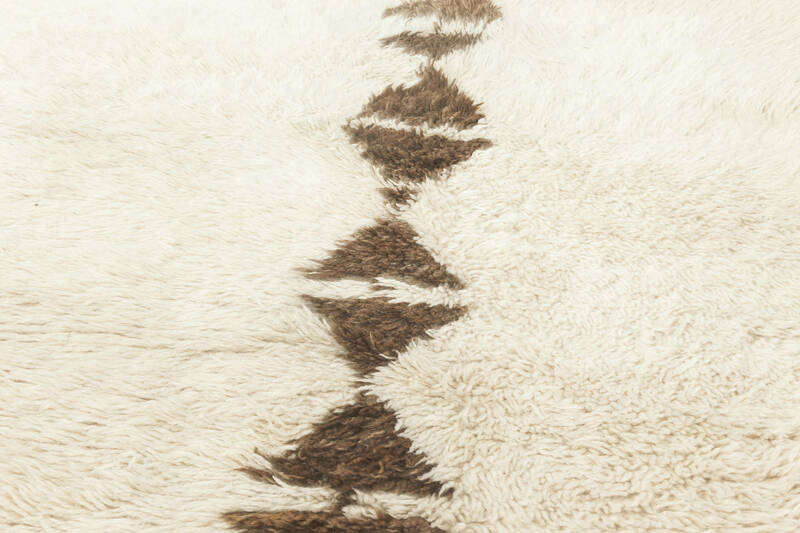 If properly maintained it will serve its owners for generations bringing in a pinch of exoticism and a breath of history, in addition to timeless elegance.